Keep this great gun cleaning aid on hand. 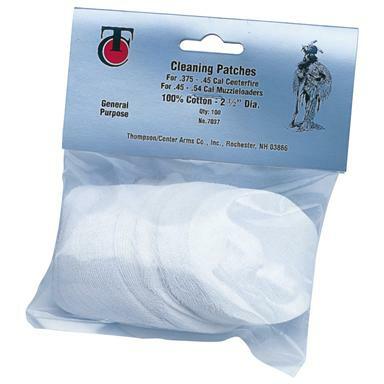 T/C Arms General Purpose Cleaning Patches, 250 Pack is rated 5.0 out of 5 by 5. Rated 5 out of 5 by Grandpop7 from A very good patch. I find that Thompson has a number of good items, this one is very good. Rated 5 out of 5 by RALPH E from Will be very useful during the fall hunting season. Rated 5 out of 5 by BRIAN from Item as described. Rated 5 out of 5 by LAWRENCE from What can I say about a patch? They hold up well and get the job done.